The Arch Stanton Ranch is approximately 475 +/- acres located just 1.25 hrs West of Austin Texas & 10 mins west of Main Street in Fredericksburg - Gillespie County. 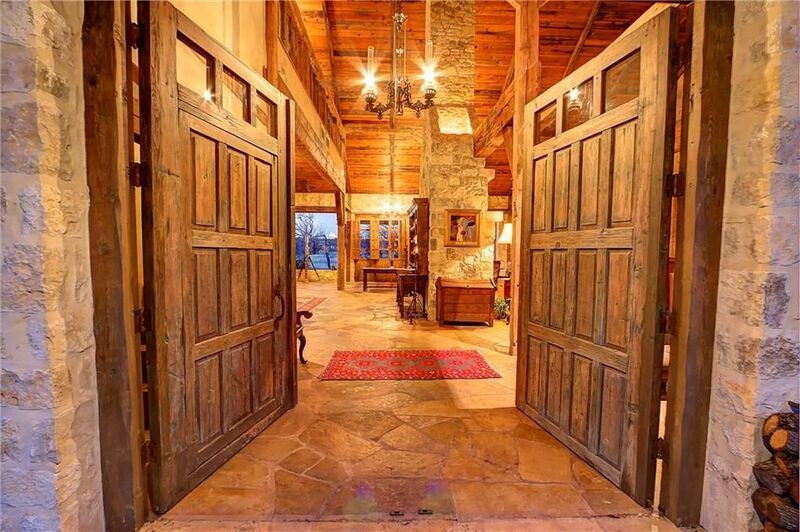 This prime live water property is home to the largest collection of rare, historically significant restored US antique barns in the country & likely the world. These 1700-1800's barns have been strategically culled from the top 1% of salvageable barns with lineage from some of the most sought after examples of early functional architecture then painstakingly disassembled piece-by-piece hand penciling each dowel & board to be ensure its re-erected as it once was. Once completely disassembled it is loaded onto a train, shipped to the ranch where it is stored & cured before being reconstructed by hand by their team of specialist craftsmen, blacksmiths, stone masons, architects, designers and artisans hiding 21st century materials and technology into the walls while still keeping the character of the structures intact.